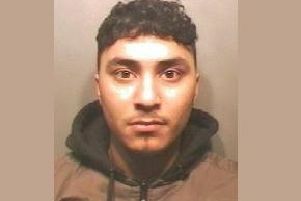 A masked thug from Luton who stabbed a man after a row about an unpaid debt has been jailed for six years. Shane Chappell, 36, pleaded guilty to causing grievous bodily harm and was sentenced on Tuesday, July 10, at Luton Crown Court. On the evening of Saturday, October 7, 2017, Chappell, of Dewsbury Road, attacked a man during a fight about a debt owed by a third party. The victim had gone to Chappell’s address, believing the person who owed him money was there. On arrival he was met by Chappell wearing a balaclava and armed with a knife. Chappell slashed the tyres on the man’s vehicle and, when the victim got out of his car, the violence continued, and he sustained a stab wound to his armpit, requiring hospital treatment. Chappell also racially abused an officer who came to the scene. DC Colin Knight said: “This was a terrifying incident by a masked assailant. Chappell attacked the victim and caused him a serious injury. He will now spend time in prison for his actions. Chappell was jailed for a total of six years and eight months.